Children are the true blessing in our life and we want to provide them every possible thing in this world as they are born. As they grow up they love to play with different kind of toys and you do provide them every kind of toy so that they can enjoy their time. Since my child had a lot of toys and it was getting hard for me to get them organized day by day I and my husband thought of buying a toy box but eventually we fell into an idea of making one by ourselves out of the pallets. Toy box can be the best thing to put all the toys in after your child is done playing with them. You can also teach your child to put all the toys once he/she is done playing with them so that they know how to be organized and neat. 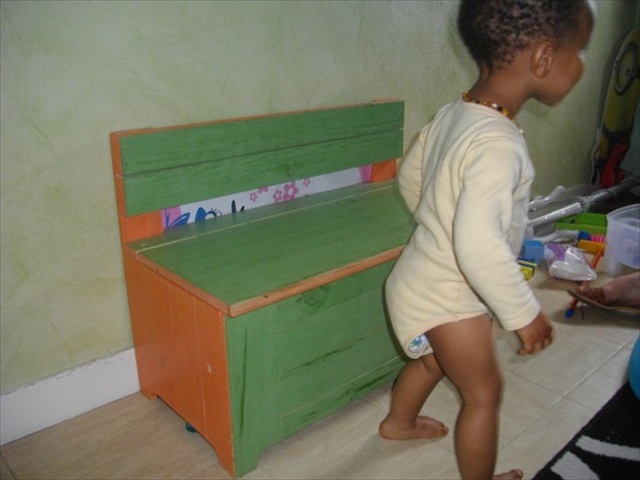 It can also be a bench with the top which opens up to be a toy box. Great idea and time saving thing to make out of pallets.